Today’s consumers are a well-educated bunch. They know where to look for reviews that they’ll trust, find the latest promo codes, get free shipping, ignore promotional messaging with ease and more – all in the name of getting the best product or service for the best price from the best brand. This all done, of course, on their own terms – whether that’s asking questions on social media, switching from device to device, saving items in a shopping cart or signing up for free trials. A customer’s path to purchase is not only different for each shopper, but also unique to the brand they are engaging with, which means companies need to find the right mix of website copy, email messaging, social promotions and more to move their potential buyers toward purchase in the most personalized way. Discover how top brands are doing step-by-step lead nurturing online. 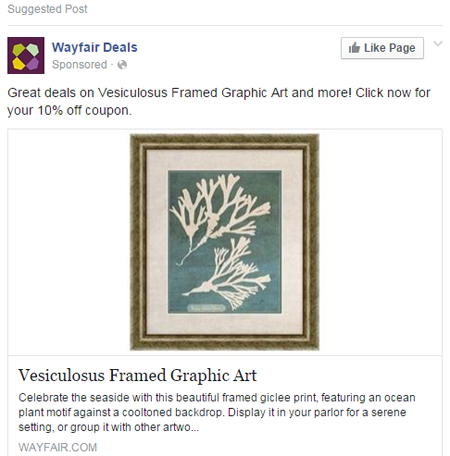 Even better, after visiting Wayfair.com, a user was delivered an ad with an incentive (10 percent off) to go back to the site and buy the artwork she was viewing. 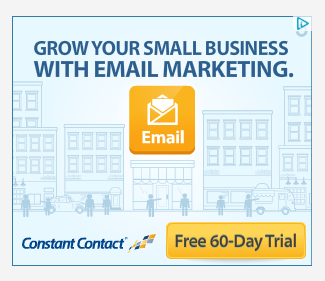 Even as a top (if not “the” top) email service provider (for a list of 50, click here), Constant Contact cannot rest on its laurels. It needs to hustle to convert leads into sales just like the rest of us. 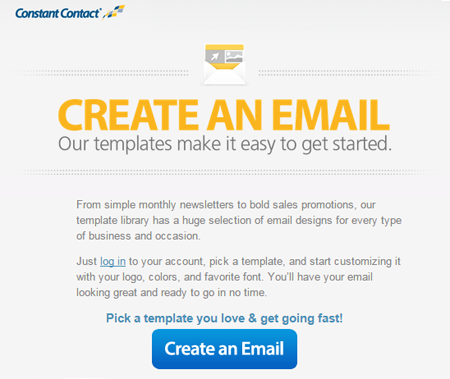 Constant Contact nurtures its leads in several ways. First, it offers a 60-day free trial that is promoted on third-party sites. Secondly, once a user is signed up for the free trial, Constant Contact asks them whether he or she wants to continue with the trial or Buy Now instead. The user might not be ready to buy, but it’s definitely worth a shot. Constant Contact doesn’t stop there. Users get an email encouraging them to create their first email, as well as a checklist for creating their first email (hyper-relevant content marketing). The more engaged the trial user is, the more likely he or she is to upgrade the account. A company like Scout Analytics can actually predict whether someone will renew a subscription-type product and provide suggestions on how to market to that person. 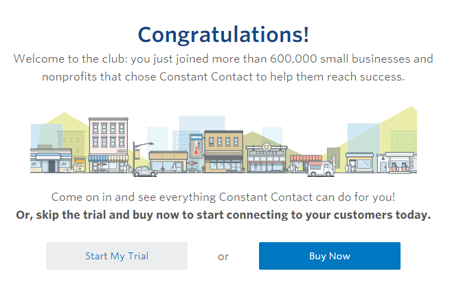 Constant Contact mixes both automated follow ups (read about drip email campaigns here) and ones from a real-life person to nurture its leads, as free trial users also start to receive emails from a real-life sales consultant. There tend to be two kinds of people in this world – the do-it-yourself type and the do-it-for-me kind. The latter may have a difficult time shopping on the Web, since there is typically very little handholding (even on the most user friendly sites). 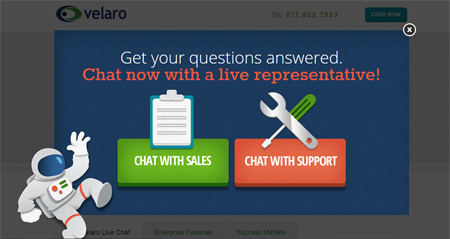 Enter: live chat. Live chat can be deployed a couple different ways (a person chooses when to click “CHAT NOW” or a live chat agent “pops up” after a pre-determined amount of time or after a user engages in some sort of behavior). By automatically deploying a live chat agent, brands do run the risk of being perceived as obtrusive, but Moxie Software recently found that 72 percent of shoppers want brands to proactively engage with them online – especially when they are struggling on a website. By anticipating customers’ needs, brands can move users right through their sales funnel. As previously mentioned, shoppers are as unique as the companies they are researching, but brands will always win if they put their marketing dollars where there customers actually are, have a plan to engage with leads in relevant ways and anticipate potential buyers' every need.